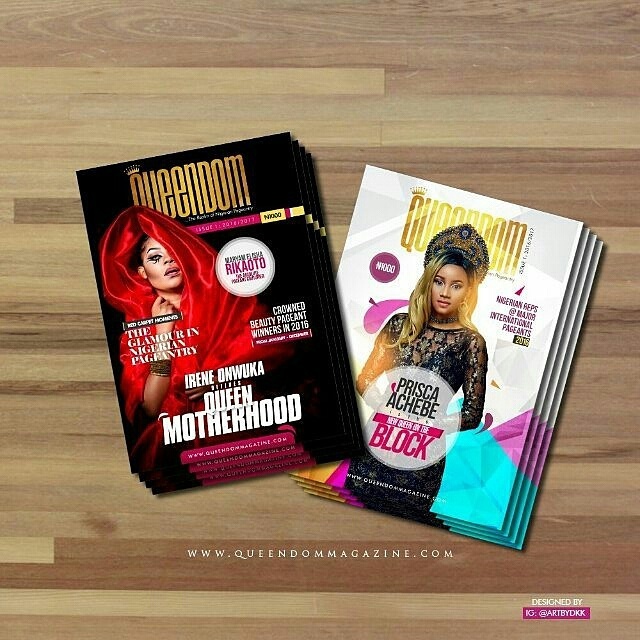 The first ever issue of QUEENDOM MAGAZINE (@queendommag ) is out now. You can order for your personal copy now. Get a scoop of everything 2016 in Nigerian pageantry. Cover Design – @artbydkk . 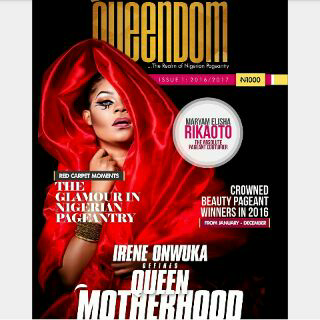 Headline : IRENE ONWUKA DEFINES QUEEN MOTHERHOOD . Tip- Queen Irene is the 2013 Winner of the Miss Ambassador For Peace Pageant and a UN Ambassador. – Why @maryamelisha of @rikaotobyme is Nigeria’s Absolute Pageant Couturier . – A sneak peak of Nigeria’s representatives at major international pageants . 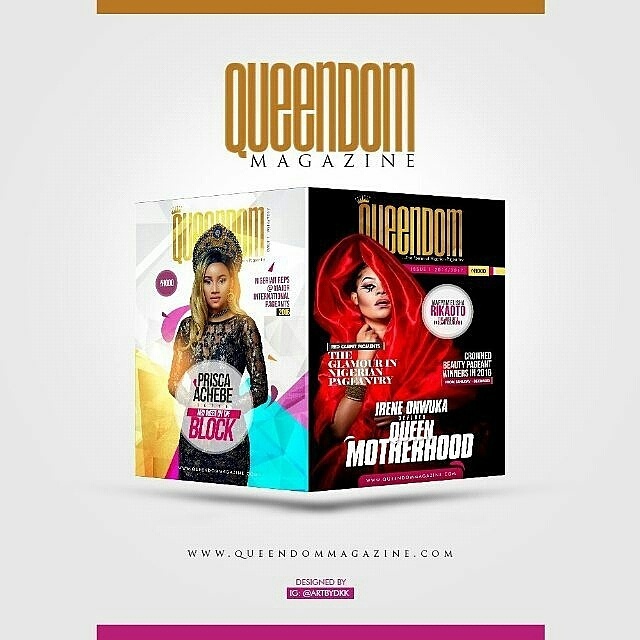 -Find out who the Queen Of The Year is..
– Exclusive interviews with Mr World and Miss International. Pre order now. #1000 per copy!